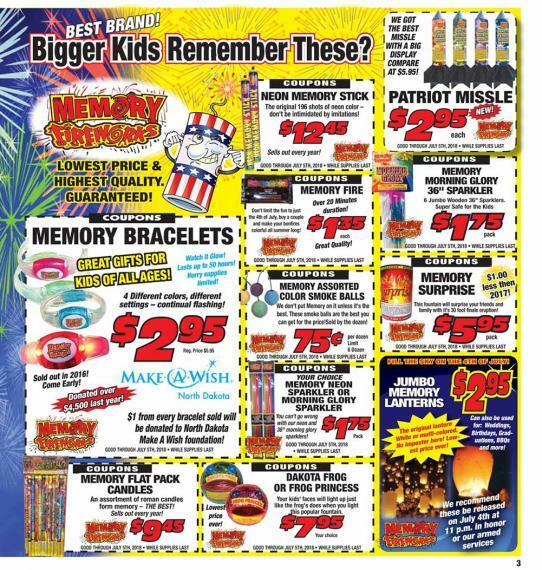 We make saving money easy and fun! 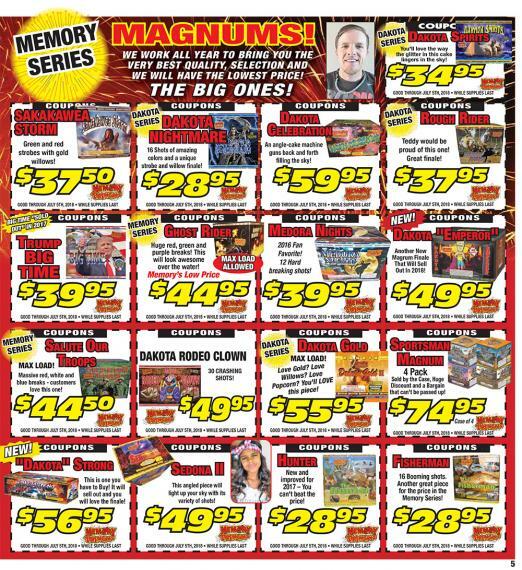 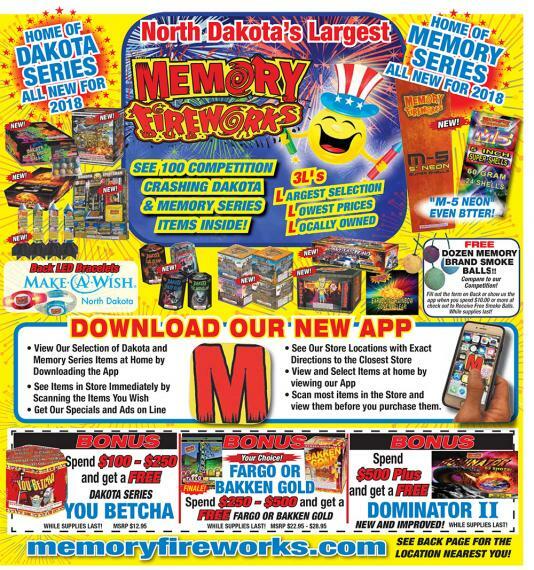 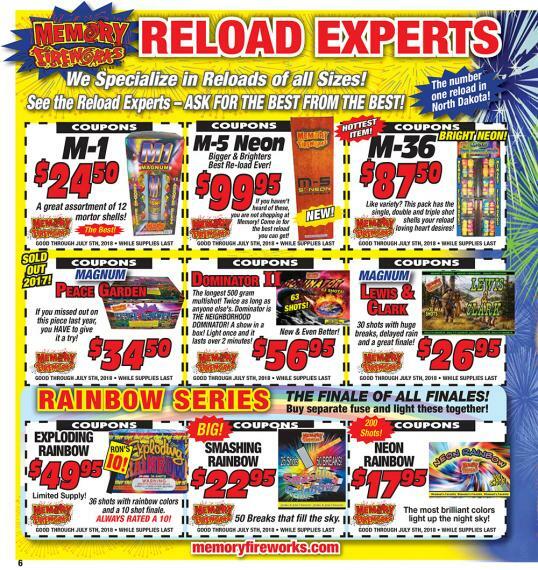 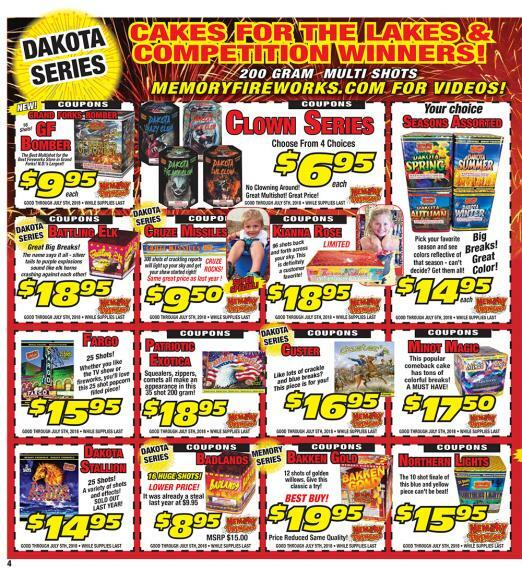 Every year at Memory Fireworks we select the best fireworks to include in our promotional deals. 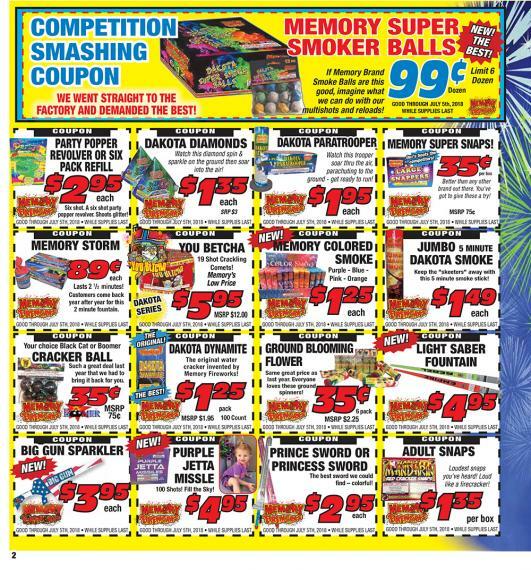 If you forget your coupons at home, don’t worry, we have you covered. 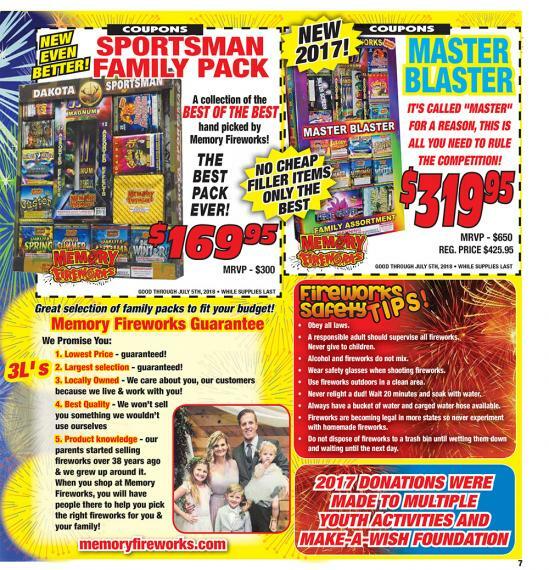 Prior to the start of the selling season we program the discounts into our system so that everyone will go away happy and satisfied that they got the best deal in town.